Daniel Home (from 1820-1850): a world famous levitator of the 19th c. who lived in the Lake Ontario grid point area (aka.Marysburgh Vortex; other Bermuda Triangle; "the gateway to oblivion on the eastern end of Lake Ontario"), apparently very active; where many European nobleman and scientist visited and verified the feats of levitation. Levitation is produced by diamagnetism existing on the surface of the earth. Diamagnetism operates at 90° from the magnetic axis (N-S), but in 3 directions (not in a 2-dimensional plane as usually shown; If magnetism flows on a plane on the Earth's surface, then diamagnetism flows straight up (ie.levitation; anti-gravity). Diamagnetism is the effect of a polarity reversal flow. All mass objects in the point area are charged; easily lifted at the center of mass with a slight upward pushing pressure; Bow-Tie Knot levitation. NASA is aware of the vanished planes, ships, and people often thousands of miles out in space due to the vortex-gravity toss. The radial distance of the zero-spin energy field is derived by measuring the distance from the vortex center to land's end. 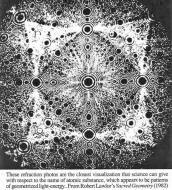 Vortex-gravity research could be under the disguise of supposed atomic research (eg.Los Alamos). The awareness of the Earth Grid reveals another incentive for world war and research; controlling earth grid points, portals (aka.Earth Grid Wars). The research and inventions of Viktor Schauberger (Austrian scientist/naturalist/inventor) demonstrate the principles of diamagnetism on a small scale of polarity reversals (ie.operating in simple bar magnet). His levitations are the result of diamagnetic systems using water flows (sim.some waterfalls and streams). Schauberger simply designed a tubed Bloch Wall system, or artificial water flows with internal energy flow reversals. The waterfall's central spiraling cold flow is a natural anti-gravity effect area (reversed momentum). A stressed gravity detector registers a waterfall's center as 0 (or under), due to reversed anti-gravity momentum. Schauberger's implosion turbines interrupted the water suction flow with a special shutoff valve, hence creating a reactive back-pressure force (discharge cycle; levitating action) in a similar direction to the implosion turbine (ie.German WWII V-7 fighter aircraft) [sim.circular (quadrapolar) pattern of the whirling fire hose nozzle relieves (radiates) water gravity (stress); water stress-gravity control]. Levitation (weight loss) control is essentially the decrease of stress via radiation using gravity; the resultant pushes of 2 radiating sources. Completing the circle: by fitting together (combining) 4 sonic generators, or Tibetan monk instrument arrangements (90°), into a circular or disc shape (360°), would cause the resultant forces of the (4) harmonic fields to combine into a doughnut-shaped (eg.torus) anti-gravitational field, which would levitate the disc (vehicle). The model conforms to the concept of the formation of matter due to spiraling wave motions in space (vortex). Theoretically, this anti-gravity vehicle resonates at frequencies in accordance with the unified fields (given in the Tibetan stone hurling example above). According to Bruce Cathie, covert scientific establishment has already understood and manufactured anti-gravity technology. Scalar waves are a form of radio waves, which create longitudinal wave interference; the intersection of 2 scalar waves creates an energy bottle which disintegrates all matter within the bottle (mini atomic explosion), but without any resulting radiation. 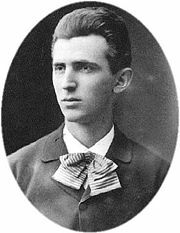 c.1879, Nikola Tesla, age 23. According to Thomas Bearden (retired Pentagon war games expert; active consulting engineer to the Defense Department; scalar wave expert), Russia is more technologically advanced than the US with scalar wave application (eg. "Star Wars" defense system). The "Star Wars" defense system is actually more "offensive" than laser weaponry with its resultant disintegration of matter within the interference zone (eg.populations can be targeted for disintegration; light sabers from Star Wars the movie). The Tesla Shield, a more "defensive" war technology, essentially a scalar energy bottle warped around an object, can be used to shield a location (eg.city, building) with an interference zone (force field), or disintegration shield. According to Toby Grotz (president of International Tesla Society), Tesla was the true inventor of the radio and modern electrical power systems. Nikola Tesla (naturalized Yugoslavian immigrant) demonstrated wireless radio technology, at the Chicago Worlds Fair (1893), 2 years before Marconi, who performed an identical feat. The validity of this history was proven (June 21, 1943): in the case of Marconi Wireless Telegraph Co. vs. the United States, the Supreme Court ruled that Telsa's radio patents had predated those of Marconi. 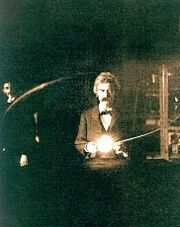 Mark Twain in Tesla lab. Even though Edison invented the incandescent light bulb powered with direct current [DC] electricity, it was Tesla who used alternating current [AC] (used widely in modern times; eg.Star Wars anti-missile defense system developed by the military-industrial complex). Grotz speculates over immense and almost instantaneous cloud formations in a Soviet arctic territory near Japan to be wireless energy transmission testing (sim.Tesla). This cloud was spotted by 4 airplane pilots (April 9, 1984) as an eruption appearing as a nuclear explosion (60,000 feet high and 200 mi. wide in 2 min. ), which enveloped their aircraft. 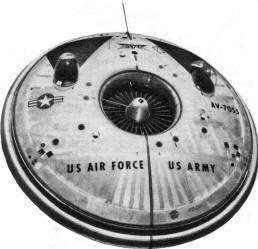 In late July, the Cox New Service reported that the US Air Force examined the 4 craft in Anchorage, Alaska, and determined no radioactive contamination. According to Grotz, Tesla calculated/experimented (Colorado Springs, 1899) the broadcasting of energy through the generation of resonances inside the earth's ionospheric cavity. Sanctioned by the International Institute of Electric Engineering (IIEE), the Tesla Society (400 members) meets annually in Colorado Springs (also where Eisenhower est. NORAD) to discuss the rivalry of Thomas Alva Edison financed by J.P.Morgan and Nikola Tesla financed by George Westinghouse. According to the Tesla Society, US bureaucrats sent Tesla's ideas to communist Yugoslavia after WWII, giving the Soviets a lead in the quest for a particle/scalar wave beam weapon (aka.the ultimate weapon). According to Grotz, Tesla chose Colorado Springs (Pike's Peak; Cheyenne Mt.) for its dry climate and powerful lightning storms. Also, Tesla dreamed of delivering limitless amounts of free power equally available to every person on Earth, through the electrical broadcast of this power across large distances (sim.radio transmissions for smaller amounts of energy). Tesla's experimental work, the broadcast of power by producing vibrations (in phase inherent to thunderstorms) in the atmosphere, is based on a Unified Field Theory (ie.Earth Grid), a theory Einstein confessed was beyond his capabilities. Tesla's conceptual scalar wave technology allowed anyone with a receiver to tap into broadcasts for electricity (sim.radio and TV broadcasts). On a hill at the foot of the Rocky Mountains, Tesla erected a giant device, known as the Tesla Coil, that produces dramatic arcs of electricity by rapidly changing its resistance. 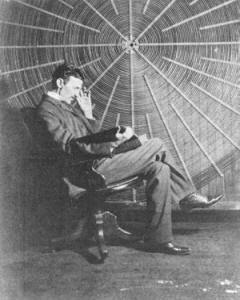 At the corner of Foote and Kowia streets in Colorado Springs, Tesla erected another coil (122 ft high), which tapped into the city's electrical system to send millions of volts of electric current into the structure, casting (135 ft high) bolts of artificial lightning to intermingle with natural lightning in the sky. After the first throw of the switch, the entire city blacked out; according to news reports, these tests created artificial clouds around his installation and caused lights to burn up to 26 miles away. 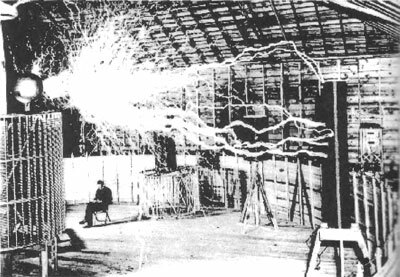 The Colorado Springs experiments of Tesla (1899-1900) have never been duplicated. The experiments established that the lightning storms swooping down the Colorado Rockies into the plains of Kansas resonated at a frequency of 7.68 cps. 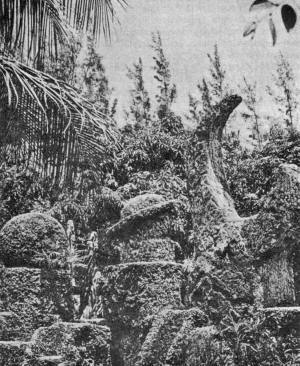 This natural phenomenon was rediscovered by W.O.Schumann while working for the Navy (eg.broadcasting nuclear war orders to submerged submarines). According to the paper, "Star Wars Now! The Bohm-Aharonov Effect, Scalar Interferometry and Soviet Weaponization," that the artificial clouds that frightened air pilots, were generated through the transmission of energy (drained from one area to another) according to Tesla principles. According to the paper's author, T.E.Beaden (retired Pentagon war games expert, and active consulting engineer to the Defense Department), the energy transmission is a "cold explosion," (eg.Neutron Bomb; aka. N-Bomb) capable of mass destruction. Even though the following claim is debated (Tesla was always rejected by the establishment), according to Beaden, one cloud (150 mi. wide) could instantly freeze everyone in the given area into a block of ice. After Tesla began building AC dynamos and other devices with the financial backing of George Westinghouse, Thomas Edison and his General Electric Company waged a campaign to discredit AC by emphasizing its dangers ("Tesla, Man Out of Time" -Margaret Cheney). According to Cheney, Edison forced dogs and cats to stand on metal plates charged with AC current, electrocuting them, and he called the process "Westinghousing." Edison may have beaten Tesla in the game of commerce, but Tesla's AC power system prevailed. Tesla died (1943) in poverty. After WWII, Tesla's relatives in Yugoslavia petitioned Washington to send the 17 trunks of papers and equipment that he had stored in a New York garage. 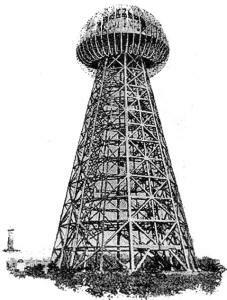 The items were sent to Belgrade (1952), where they were housed in the Tesla museum. Grotz suspects that the trunks were inspected first by the KGB. However, he concludes that Russia had much more respect for Tesla than the US. A capacitor is a passive electrical component that can store energy in the electric field between a pair of conductors (called "plates"). The process of storing energy in the capacitor is known as "charging", and involves electric charges of equal magnitude, but opposite polarity, building up on each plate. A capacitor's ability to store charge is measured by its capacitance, in units of farads. Capacitors are often used in electric and electronic circuits as energy-storage devices. They can also be used to differentiate between high-frequency and low-frequency signals. This property makes them useful in electronic filters. Practical capacitors have series resistance, internal leakage of charge, series inductance and other non-ideal properties not found in a theoretical, ideal, capacitor. The bottom plate (only) to ground = Cg, while both plates = Ci. L2 and C3 are a resonant step down air core coupling system at the desired frequency. RL = the Tesla Equivalent Circuit. This patent was the result of N.Tesla's many high voltage experiments at Colorado Springs during the early 1900's. It was the basis for the famous "Waldencliff Tower," which was intended to become a transmission station for wireless electrical power. 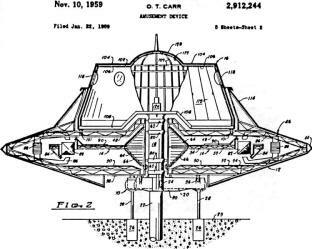 This patent was the foundational invention for the development of scalar wave technology (eg. "Tesla Shields"). Contrasting effects of iron and a superconductor within a field of magnetic lines of force. Top: A ferromagnetic material in a magnetic field concentrates the lines of force. Bottom: A superconductor within a magnetic field forces the lines of force to diverge and bypass. Magnetic memory effect on a superconductor in an external magnetic field. Left: A ring is made superconducting while resting stationary in an external magnetic field. Right: The external magnetic field is removed while ring remains superconducting. Only the outer surface current stops. 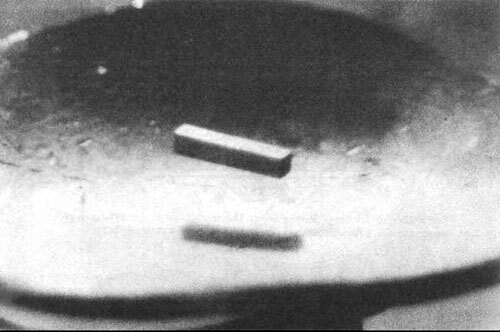 A bar magnet "levitates" over a superconducting lead dish. A "mirror image" of magnetic lines of force exists invisibly in the lead surface at just about the position of the shadow. The "mirror image" is opf equal strength to the bar magnet. 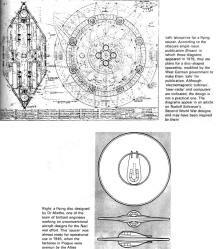 VIKTOR SCHAUBERGER'S FLYING SAUCERS; NAZI GERMANY (1938-1945): Schauberger designed several "flying disks" for Hitler's Third Reich, based on "liquid vortex propulsion;" documented to fly. According to Schauberger, "If water or air is rotated into a twisting form or oscillation known as 'colloidal,' a build up of energy results, which, with immense power, can cause levitation." On one attempt, the apparatus ascended trailing a blue-green, and then a silver glow. The Russians blew up his apartment in Leonstein; his things were confiscated first by the Americans then the Russians. After WWII, Schauberger worked in Texas for the US government, and died shortly after. 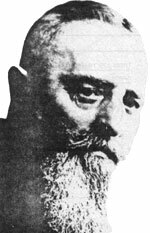 On his deathbed, Schauberger repeated again and again, "They took everything from me. Everything. I don't even own myself." JOHN FROST (work dropped in 1960): English engineer designed the AVRO Car for the US Air Force and Army by the Avro-Canada Co.